Warm Springs, Wasco and Piaute tribes consist of bands that were nomadic, lived in family groups. Historically, the Native Americans of the Confederated Tribes of Warms Springs were known as the tribes and bands of middle Oregon. The Warm Springs Reservation was created by the Treaty of 1855. There would be three tribes living on the reservation, the Warm Springs tribe, Wasco tribe, and Paiute tribe. The Warms Springs and Wasco tribes consist of different bands. 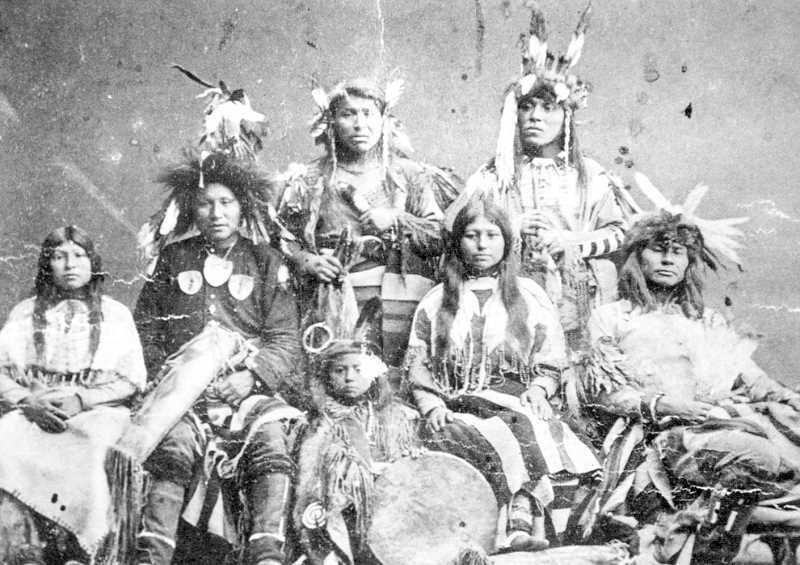 The Paiutes were not formed together in bands or villages like the other tribes of the reservation. They were more nomadic and lived in family groups. They were introduced to the reservation by U.S. military authorities in 1879, when 38 Paiutes were moved from the Yakama Reservation. On June 25, 1855, chiefs and headmen of the tribes and bands of middle Oregon gathered at Wasco near The Dalles to meet Joel Palmer, superintendent of Indian Affairs for Oregon Territory. A council was held and articles of the treaty were translated and the treaty was signed by representatives of the tribes. Presents were then distributed among the Native Americans. The 1855 treaty established a reservation of approximately 639,000 acres. The tribes ceded almost 11,000 square miles of land to the United States government for approximately two cents per acre and the assurance that the U.S. government would improve their way of life. The Warm Spring Nation had never engaged in hostilities against the United States or its citizens. The tribes provided scouts and soldiers in campaigns against other Native Americans. In 1856, a few families of the bands moved onto land of the new reservation. Others followed by early 1858 and began clearing land in preparation for agricultural farming in an environment they were unfamiliar with. The first season was unfavorable for good crop production and it was a harsh winter for survival. The tribes were dependent on meager supplies provided by the agency superintendent. The Treaty of 1855 was ratified on March 8, 1859, shortly after the formation of the state of Oregon, and nearly four years after the bands of Native Americans had gathered along the Columbia to sign away the title to land on which they and their ancestors had lived for centuries. Steve Lent is a local historian and assistant director of the Bowman Museum. He can be reached at 541-447-3715.